Stylish studio in the heart of Old City! Enjoy a seamless check-in, fast wifi, and washer/dryer in the unit. A truly amazing place for your stay! 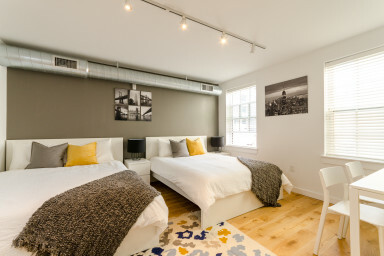 A stylish apartment bundled with a seamless check-in, fast wifi, and washer/dryer in the unit. Located in the middle of some of historic sightseeing, the best shops, restaurants, and nightlife in the historic Old City.